Honors Ambassadors serve as peer advisors and mentors to current honors students by holding regularly scheduled office hours in various locations on campus to answer questions and support their peers academically, professionally, personally, and socially. Ambassadors are actively involved and committed Honors College students who work closely with our faculty and staff to promote the Honors College to prospective and current students as well as to the university community. The Honors Ambassador program provides these students with opportunities to develop leadership skills through the recruiting, advising and mentoring of honors students. 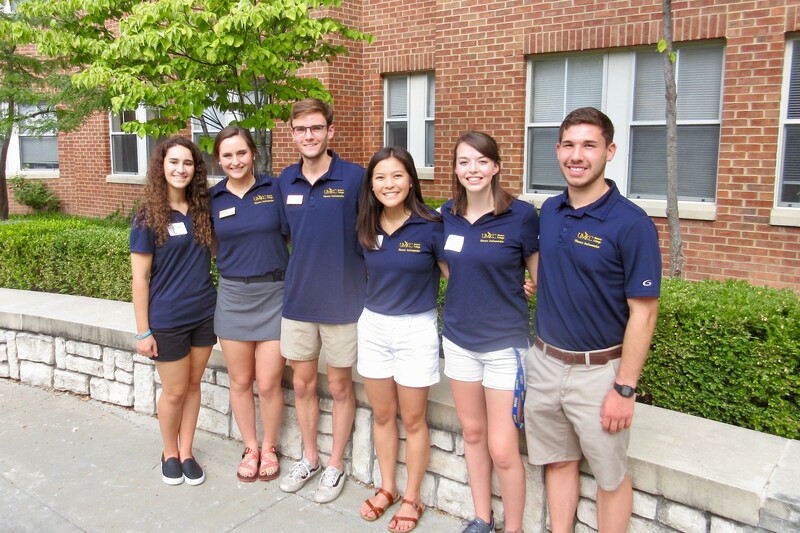 You can contact the Honors Ambassadors through email at hcambassadors@umkc.edu or at 816-235-6187. Please feel free to reach out to them in person, via phone or via email with any questions you may have about being a student at UMKC, the Honors College, extracurricular involvement, and more. For each individual Ambassador and their bio, please visit the Honors Ambassadors Bios page. See the general office hour flyer below.